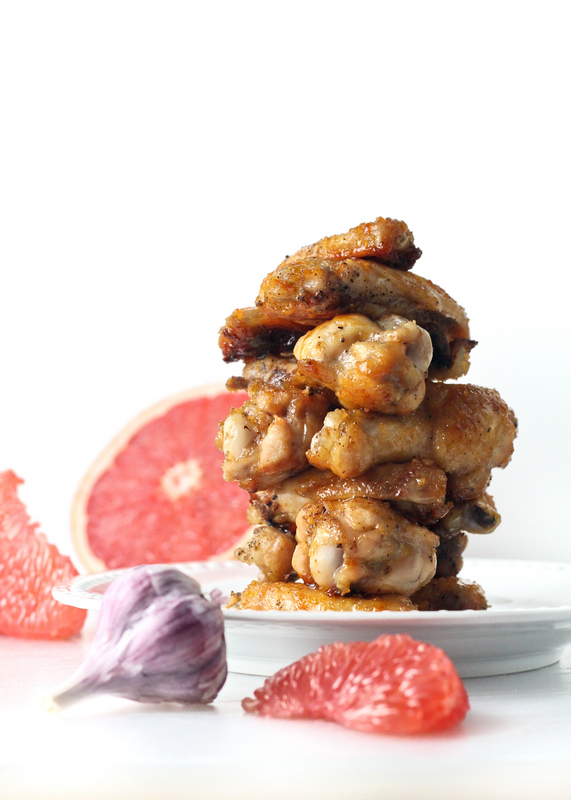 Grapefruit Honey Garlic Chicken Wings, finally ready for 2016! 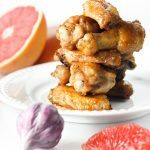 Holley has been working on this recipe for quite a while (oh yeah, this is Holley's recipe), and I'm pleased to say that is worthy of joining our amazing chicken wing recipe family! Practice really does make perfect. I have been doing a lot of thinking, and have had some amazing conversations recently. About the journey of my life thus far, and the personal growth that I've experienced as a result of my injury. I'll be honest with you: I am pumped about this year! I have very high expectations for this spin around the sun. I'm very optimistic about my life. And for my only child (lil TPD)! My health and fitness; finally doing some more traveling; meeting new people; experiencing more new things…. It's a Bit Nipply in Here! Speaking of new experiences: I was in a -110 °C (that's -166 °F – sounds even more impressive in Ferinheight) dry sauna the other day at the Sparkling Hill Resort. Negative 110! That morning I was in the car thinking how friggin' cold I was and realized that it was only -5°C outside. “Oh man, this is gonna be ridiculously cold. And I'm wearing winter clothes right now! !” In the sauna you wear only a bathing suit, socks, slippers, gloves, mittens, mask and headband to cover your ears. You start off for about 10 seconds in a -15°C room, then move to a -50°C room which was suddenly very nipply, then finally the beast: -110 for 3 minutes. “Don't lick the metal” the safety guy says. No kidding – you'd never get your tongue back from that! It was so cold and dry that the room soon filled with what I guess was steam; frozen water vapor, anyway. First my the skin of my forearms got really tight and started to burn, then my back skin began to tingle. I just kept thinking “I'll be in Cuba next week!” Oh, Cuba. Read on and I'll explain that too. The obvious question: WHY would I not only subject myself to this cold, but actually pay to do it? Well they say that it's helpful for a number of health issues including inflammation, insomnia, circulation issues, etc. I don't know that I experienced any improvement in that with just the one treatment, but I can tell you that I felt very alert and cognitively sharp when I came outta there. Plus I can say I've been in sub-negative 100°C in my bathing suit! Next year: Polar bear swim? Unlikely, but you never know. And The Primal Desire, well, we have so many ideas and this year will see many of them come to light. In fact, the Departments of Awesomeness and Culinary Love, which include the CEO's of TPD, are going to Cuba for two weeks this month (don't worry, we've prepared some recipes for the time that we're gone, and if we don't respond right away we may not have internet). Partially to explore and relax, but also as a writing get-away. Away from any distractions, we'll be churning out words and ideas on the beach. Now that I've finally adopted the idea/identity of being a “writer”, it seems like a little writing pilgrimage could be a great way to get some of my thoughts and ideas into a usable format for all to enjoy and benefit from. So that's a peek at the start of my year. What do you have planned for 2016? Any resolutions? 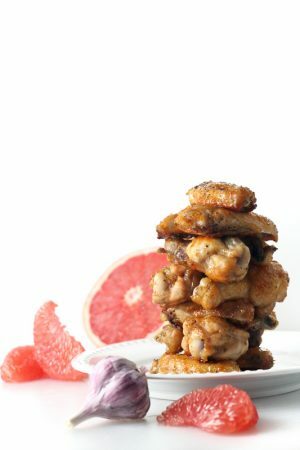 We're planning on doing a 4-week paleo challenge in February (right Aimee? ), to pick up those who fell off their resolutions in January, and to bring renewed inspiration to those who are still going strong. Over medium heat melt coconut oil in a frying pan. 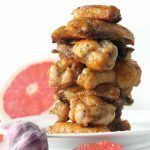 Carefully place chicken wings in the pan, sprinkle with salt and pepper, fry for aprox 2 minutes each side. 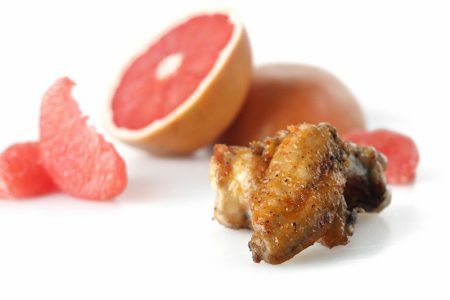 Place wings on a baking sheet and pop in the oven. Over medium heat combine grapefruit juice, minced garlic, honey and salt, simmer for 20 min stirring regularly, it will start to reduce making more of a sauce. 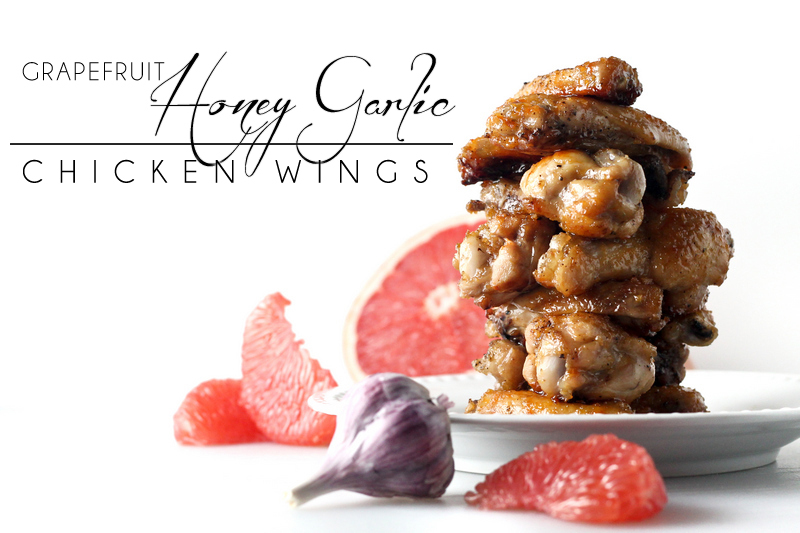 Brush the sauce on the wings and pop them back in the oven for 5 minutes. Repeat at 5 min intervals until you run out of sauce, the wings should be in oven a total of 45 minutes. Well, I just can’t imagine going into that cold even for a short time. I forgot my hat this morning when I was out walking for an hour or so and in only -13 weather and my ears were COLD. How long did it take you to warm up? Recipe looks good. Will have to try it. 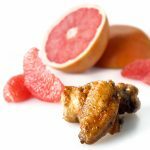 The grapefruit flavour will be different. Actually I was surprised not to feel cold after. They tell you to naturally warm up for at least 30 minutes (no hot drinks or warm bath, etc). Holley was right about this flavor combo when she first told me about it. It was the execution that took some trial and error. Hi Raj and Holley! Thanks for the shout out and yes I am still going strong and getting ready for February. A trip to Cuba sounds awesome, I live in Buffalo Ny but went to Fort Lauderdale for Christmas, it was nice! Enjoy the warm weather there and have a mojito for me. Can’t wait to try some Cuban inspired paleo cuisine soon which I’m sure coming from you guys will be amazing! Thanks Aimee, will do! Looking forward to teaming up in Feb! Edible Jenga is WAAAAYYYY better, btw!